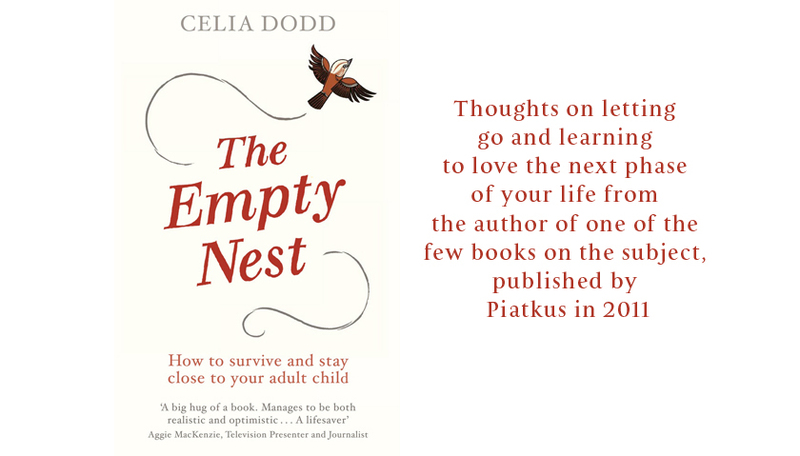 You haven't got an empty nest! 'But you haven't got an empty nest!' people often say accusingly when they find out about the subject of my book. Strictly speaking they're right. My eldest child left seven years ago, my youngest left last year, and just as I was gearing up to a totally empty nest my middle child came back to live at home. But as far as I'm concerned the empty nest isn't just that single event, when all the kids have gone. It's just as painful when each child leaves, because it's the individual relationships you miss, not necessarily 'the children' as a whole. In any case, the empty nest is a pretty fluid experience for most parents these days. Adult kids come and go, and you're never quite sure when they've left for good. So for parents that is yet another emotional rollercoaster. Of course not all parents are thrilled to have their kids moving back home, but either way they have to get used to living with uncertainty.